Merkel, speaking at a political rally in Munich on Sunday. “This is what I experienced in the last few days,” she explained. Chancellor Merkel is clearly frustrated by her recent dealings with the new American president and, in particular, Trump’s seeming indecision regarding whether or not the U.S. will continue to honor the Paris Agreement, which 195 countries signed in a combined effort to tackle climate change. On Saturday, a report indicated that Trump will in fact pull the U.S. out of the deal, but the president was apparently unwilling to officially make that decision during what seems to have been a very contentious G7. 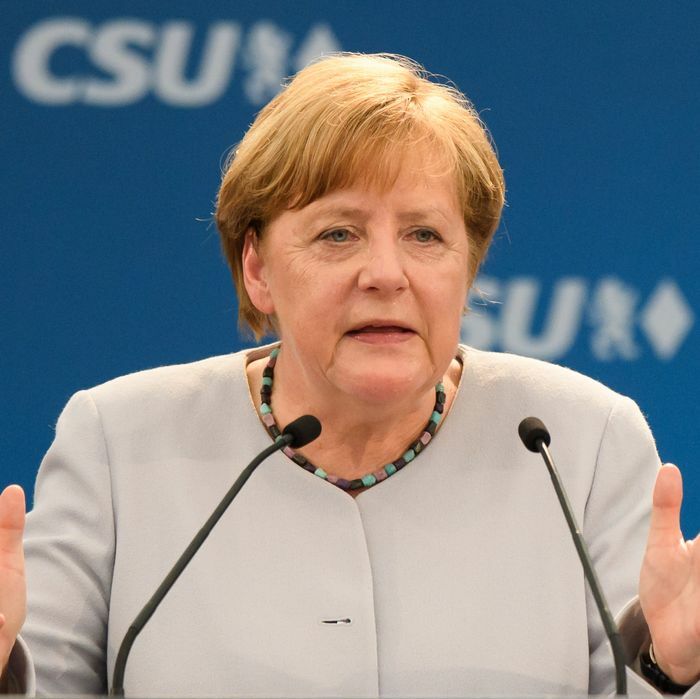 Speaking at the Sunday campaign rally in Munich, Merkel maintained that “Of course we need to have friendly relations with the U.S. and with the U.K. and with other neighbors, including Russia,” but added, “We need to know we must fight for our own future as Europeans for our destiny.” Merkel also remarked that building a good relationship with newly elected French president Emmanuel Macron must be emphasized. As for Trump, working around him and America while he’s president now seems to have been elevated to a central part of the messaging strategy for Merkel’s reelection campaign.